We’d correctly identified Steve and Rosemary’s tent in a prime corner pitch of the campsite. Two years ago we’d met another English guy here who always tries to reserve that particular pitch. Since we never know where we’re going or when, we don’t do such things. Flexibility is key; go with the flow! We’d had a suitably vinous reunion with S&R yesterday afternoon/evening whereupon Rosemary had Carol in stitches relating her story about trying to buy some stamps from a very confused lady. The lady in question was confused largely because Rosemary had wandered into the gendarmerie rather than la poste. Whoops, sorry officer! Today dawned cloudy. 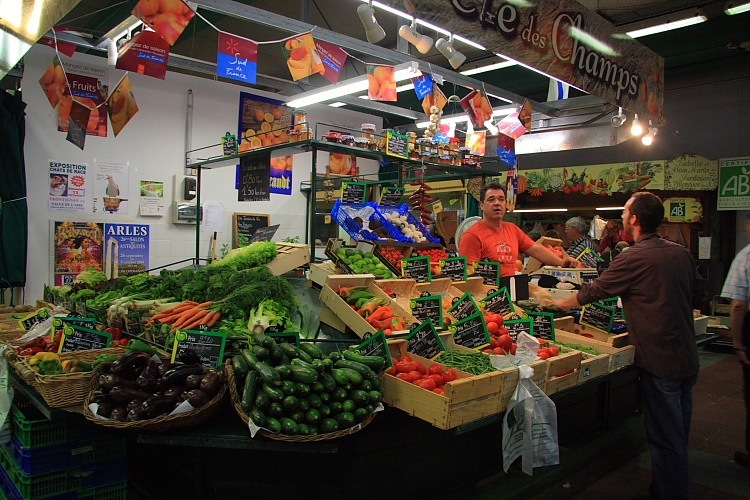 The ladies decided we should go into Sète to see the market, supposedly the best in this area. I went along for the ride – well, to drive, actually. 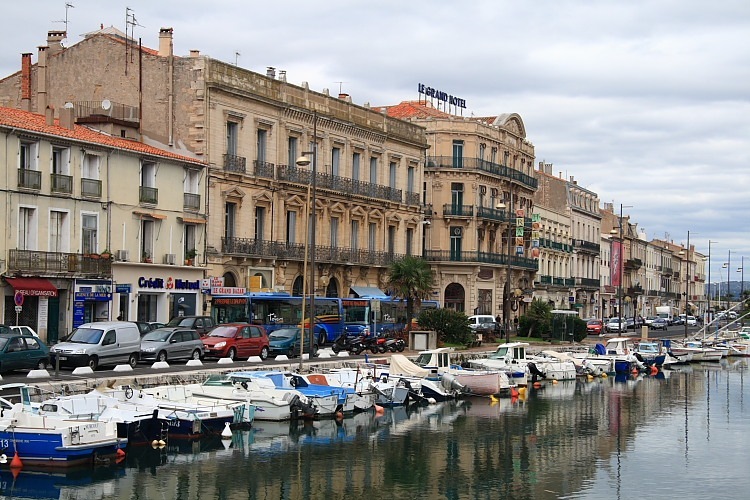 We last visited Sète about three years ago since when there has clearly been a lot of development along the sand bar road that runs into Sète from Marseillan Plage. The journey was a bit of a wind-up and we didn’t recognise much of our route though we eventually did spot a car park, the last free one before Sète, that we recognized … and that was full. We found a paying alternative shortly afterwards and abandoned ship. The market was good, particularly the covered market hall where we bought some bonito tuna for this evening’s meal. I thought I was asking the fishmonger to fillet it but she just gutted it and cut off the head so I guess I’m filleting it myself in Billy. After a rather complex procedure the girls also managed to buy yet another poulet rôti (rotisseried, a.k.a. spinning, chicken) for us to share for lunch. The return journey became another wind-up as we got stuck behind a learner truck driver carefully negotiating the narrow streets of Marseillan and subsequently crawling, relatively speaking, along the main roads. Eventually we returned to kill a beer, some wine and the already dead chicken. And very good it was too. Note to self: in future avoid large town markets and stick to the smaller ones.